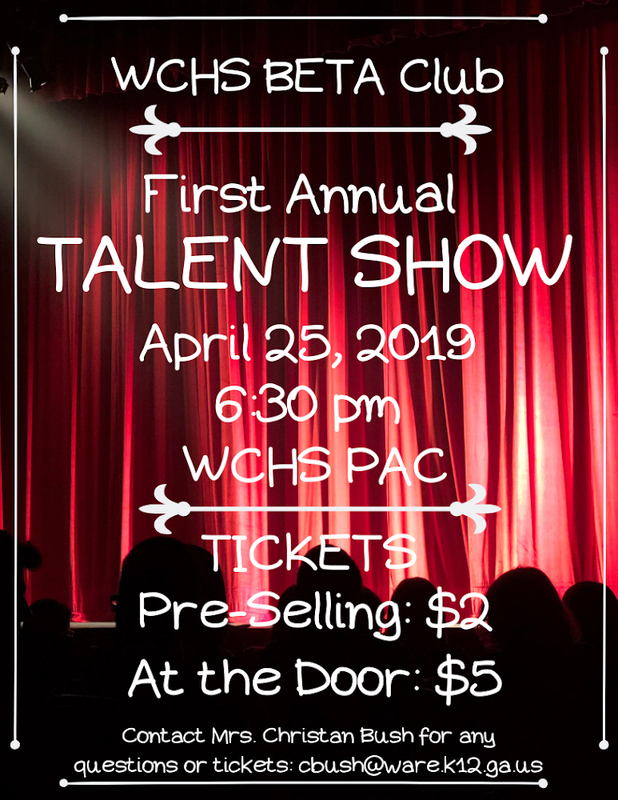 You don’t want to miss the 1st annual Ware County High School Talent Show, happening April 25th at 6:30pm. Tickets are available for $2 pre-sale during all lunches or for $5 at the door. The talent show is sponsored by BETA Club; funds raised from the show will go towards reducing the expenses of 8 students who are going to BETA Nationals in Oklahoma City. The public is invited to attend, so mark your calendar and come be entertained! We hope to see you there!